Serving the community of Easington Lane, Andrew Grey Funeral Directors offers a dignified and personal service. I can honestly say that the service care and compassion shown by all the staff at Andrew Grays was of the highest order. I would recommend them to absolutely anyone. Andrew Grey and his experienced team are proud to serve the communities of Easington Lane and the Sunderland area with dignity and compassion. They believe in a personal service, helping you arrange the ideal send-off for your loved one, no matter what your preferences or requirements. They can talk you through the range of coffins and caskets available, help you through the legalities of arranging a funeral, place announcements in local papers and help you decide on floral tributes – everything to ensure the funeral is a fitting tribute to the person you love. The premises at Andrew Grey Funeral Directors have dedicated chapels of rest for you to view your loved one in peace and privacy. If you’re not sure whether this is the right option for you, a member of the team will be able to discuss any issues and support you in whatever decision you make. They can also arrange a viewing in your own home if you would prefer. Available 24 hours a day, Andrew Grey Funeral Directors strive to meet all your needs with a high level of care and professionalism. Call now to find out more. There are no words to truly describe how amazing the staff are. You have shown us and our mam the most respect possible. Myself and my siblings are so thankful to you all. You couldn't have done anything better. I wouldn't ever go anywhere else now. The whole thing was dealt with both compassion and dignity from the start.We would like to thank Andrew and his staff for making thing s go smoothly in such sad times. Highly recommended, could not fault their service in any way. An extremely helpful and excellent service from start to finish. Not knowing personally what or how to go about everything we were put at easy by Kay and everything was taken care of very professionally as well as keeping us well informed about every step needed to be taken. We cannot praise the whole service given to our family highly enough. Excellent and thankful for everything. ABSOLUTELY FANTASTIC SERVICE FROM ANDREW AND EVERYBODY AT ANDREW GREY FUNERAL SERVICES ... THANK YOU FROM PAUL .ROSS AND ALL OUR FAMILY . I’ve put 5 stars but in my opinion they deserve so much more, they were outstanding and we couldn’t have got through this difficult time without them, they 100% go that extra mile I can’t thank them enough everything was so perfect and they made it so easy for us organising every detail so we had less stress. I had support all the way through. From them picking up my mam. They also were very supportive before the funeral. They are just at the end of the phone. A first class service was provided from start to finish. They kept us informed constantly of where they were up to in regards of the funeral arrangements and were both professional and sympathetic to our needs throughout this very sad time for us all. 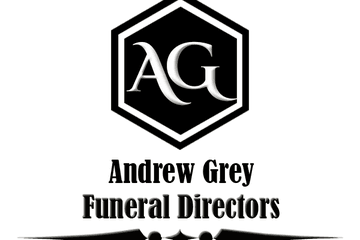 Couldn’t recommend highly enough Andrew Grey Funeral Directors to anyone. Outstanding professional service from everyone involved. Andrew at greys funeral directors is genuinely one of the nicest guys we have ever met. Nothing was too much trouble for him and he went past our expectations to make sure everything went as smoothly as possible. Andrew Grey Funeral Directors, Easington Lane will provide you with a free obituary as part of their service.